A View From The Cave: Map of the Day: How Long are World Leaders Staying in Power? Map of the Day: How Long are World Leaders Staying in Power? 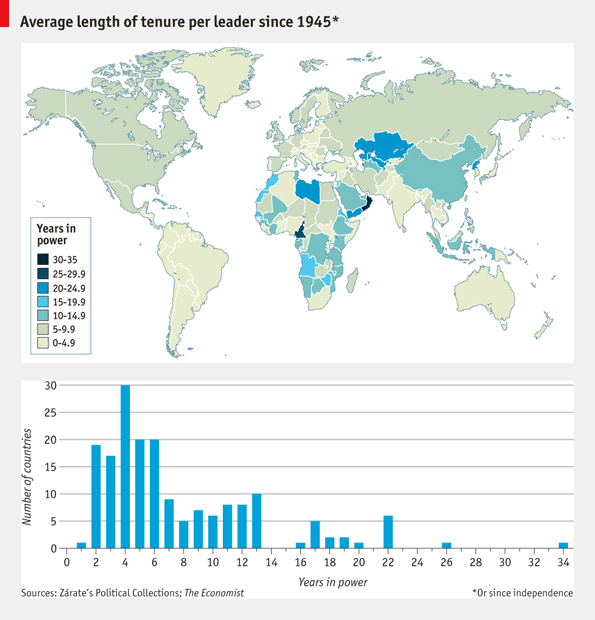 Today's map from the Economist lists how long, on average, leaders have stayed in power for each country in the world.